People say all kinds of crazy things about law school (and about being a lawyer). Most are well-meaning, but that doesn’t mean they know what they’re talking about! Be careful who you trust, and always do your own research. Without further ado, some common law school myths, debunked! Law School Myth #1: Lawyers Make a Lot of Money Gearing up for law school? Looking forward to your first huge paycheck as a big-shot attorney? Step back a moment and consider what you should actually expect from your post-law-school job. 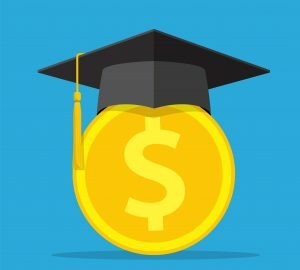 Law School Myth #2: Student Loan Debt is Good Debt When you look at the price of law school, don't kid yourself that law school debt is always "good" debt. Here are some things you should know before you sign those loan documents. Law School Myth #3: Law School Gives You Three More Years to Decide What to Do With Your Life Are you considering law school because you want some additional time to figure out what to do with your life? You might want to reconsider! Law School Myth #4: Life as a Lawyer is Exciting and Intellectually Challenging Think life as a lawyer is glamorous and exciting every day? You might be in for a shock. Here are some realities to consider before you make the jump into life as a lawyer. Law School Myth #5: Getting a Law Degree Opens Lots of Doors Everyone says that law school can open lots of doors. And it can. But if you apply for non-law jobs after getting a law degree, there are some downsides as well. Law School Myth #6: You Can Trust a Law School’s Employment Numbers How much faith can you put in the employment numbers released by a given law school? Well, not much. Here are the things to be wary of when you look at those figures. Want an update when new law school myths are debunked? Sign up for our weekly newsletter and be in the know!